The Pacific Institute for Latin American and Caribbean Studies aims to be a clearing house for the extraordinary wealth of expertise about Latin America and the Caribbean on the Pacific Coast of Canada and the US North-West. The Institute encompasses the region of so-called Cascadia or, roughly, what used to be the Oregon Country, whose southern limit was defined by the northern border of Mexico before the Mexican-American war and the US annexation of what is now California and much of the US Southwest. 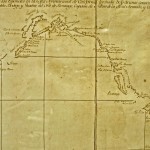 These are also the coastal areas delimited by the Mexican/Spanish expeditions of 1774-1791, which established a fort at Nootka on Vancouver Island and bequeathed us placenames such as Juan de Fuca Straight and Cortes and Valdes Islands.